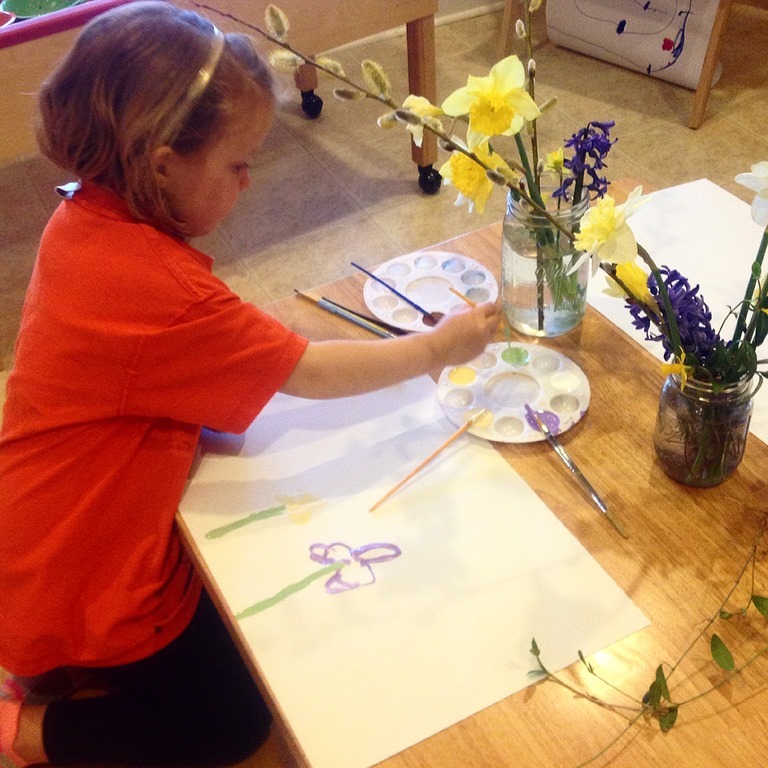 We had such a fabulous week of school celebrating all things spring and Easter related right before spring break! 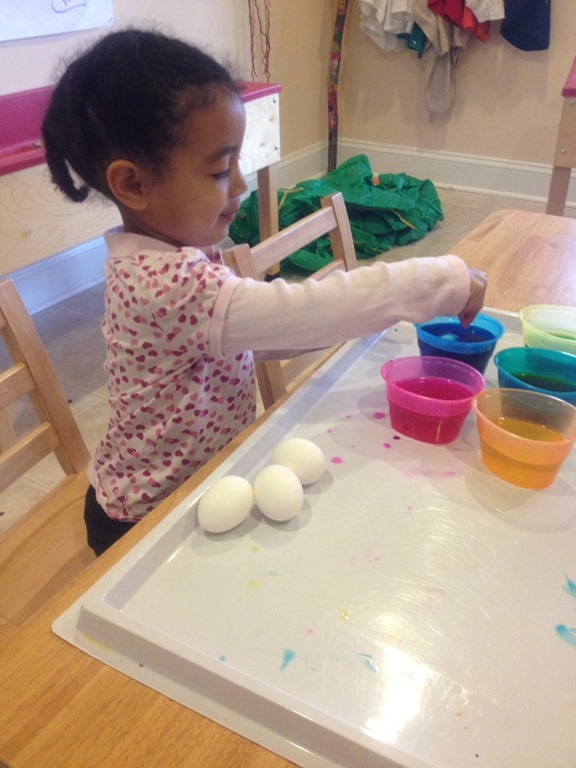 The kids really enjoyed dyeing the eggs on Friday before our very first Easter Egg Hunt! Each child got to choose between dip dyeing their eggs or rolling them in shaving cream and food coloring for a new dyeing technique! Once the shaving cream had to sit on the eggs for a few hours before wiping it off. The results were a cool marbled look. M wanted to dip dye all of her eggs! 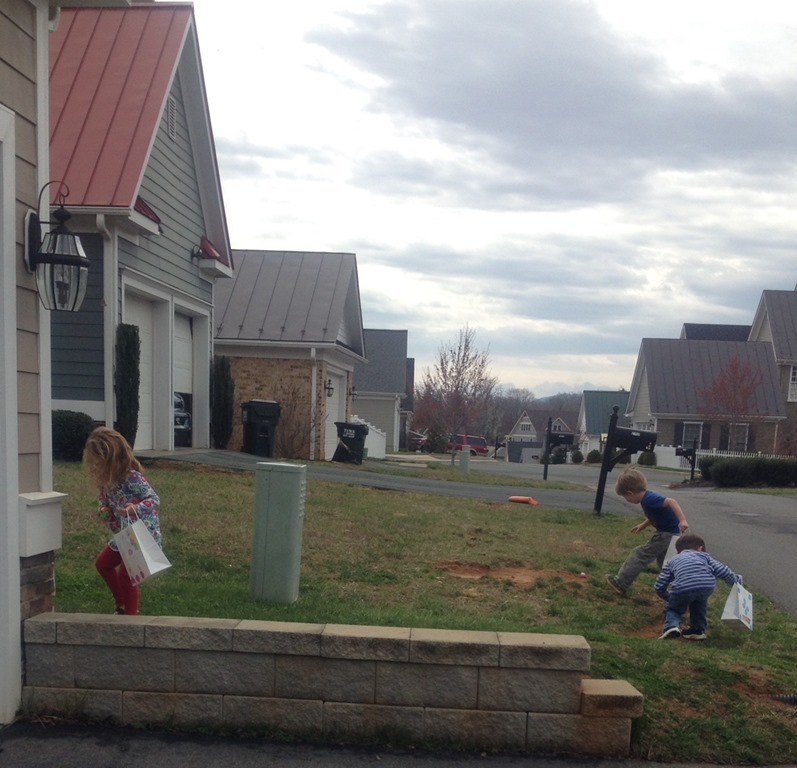 The kids had just a great time hunting around the school and outside of our play ground area for lots of Easter Eggs! 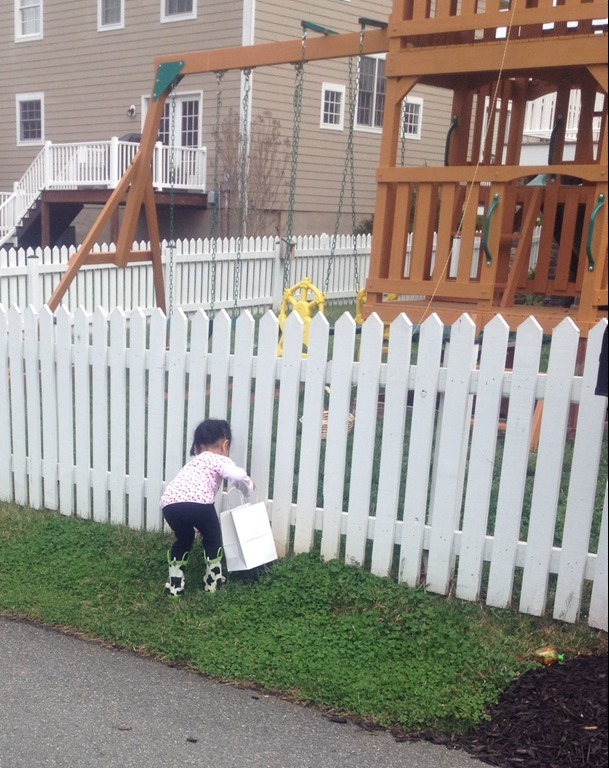 The parents each donated a dozen stuffed eggs for each child, so we had plenty of eggs to find! 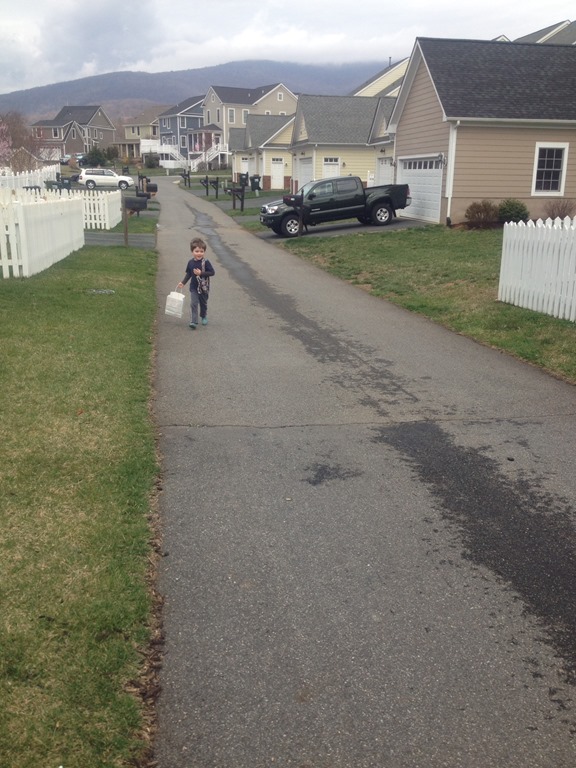 Sweet D running around and excited about his loot! 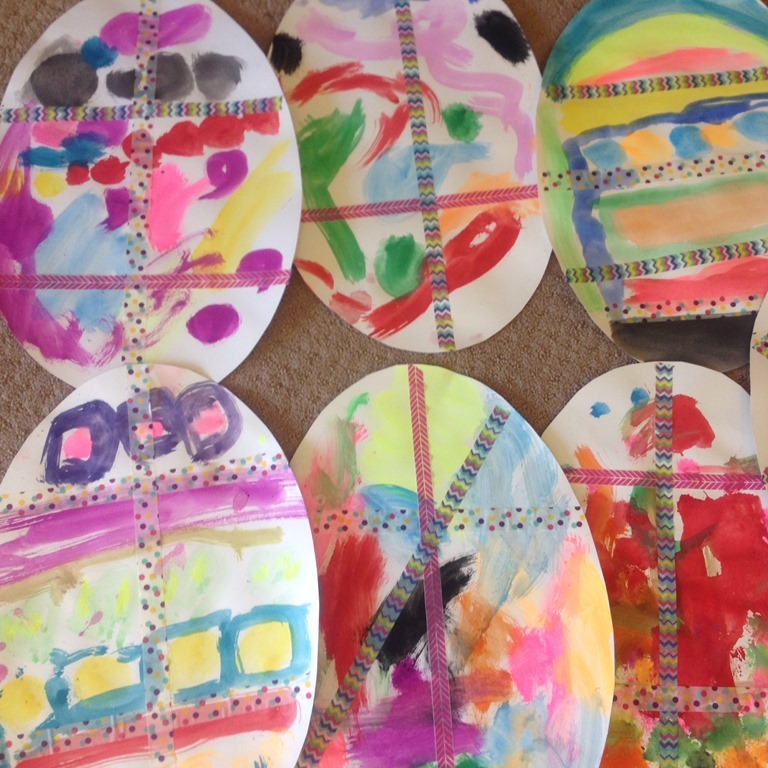 We made lots of beautiful Eggstra special Easter art this week too! 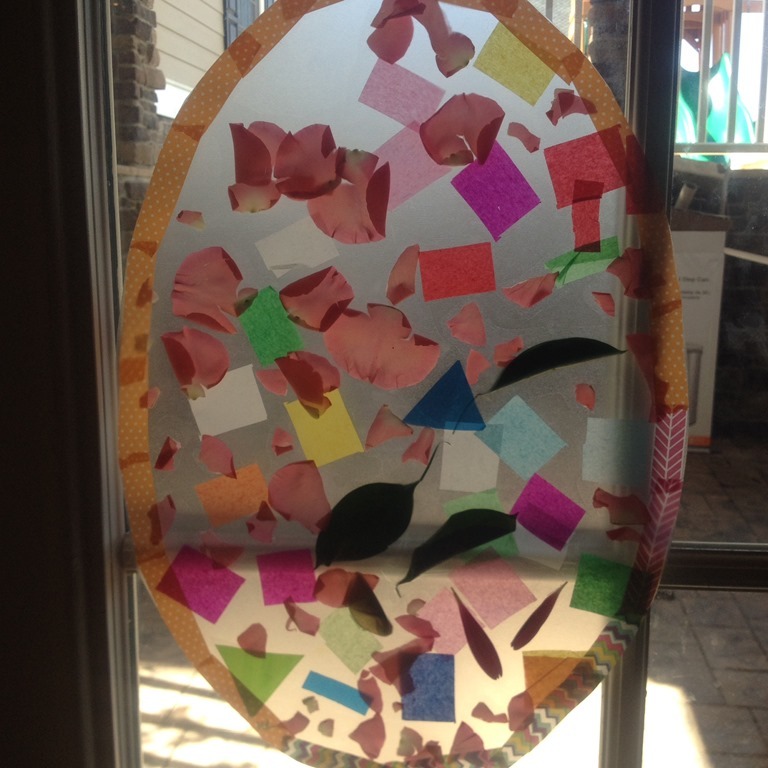 I found this idea for Easter Egg sun catchers from The Artful Parent blog. She is very creative, and her ideas are so inspiring for incorporating art into your home or classroom. My parents donated some beautiful spring flowers that we took apart to place on the contact paper. 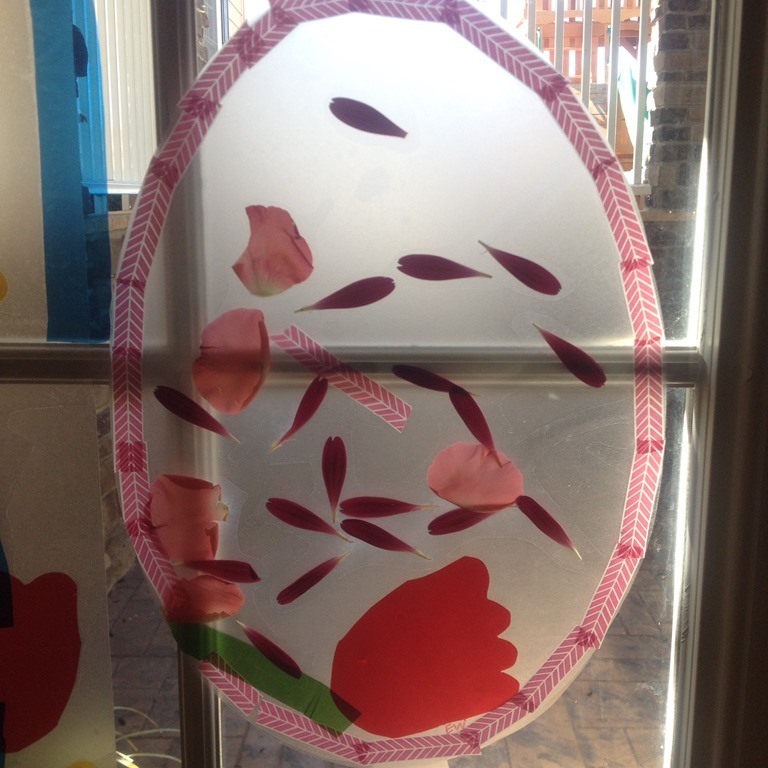 We also used tissue paper, and then I helped them use washi tape to outline the edges of the eggs. Another window invitation was laid out this past week. 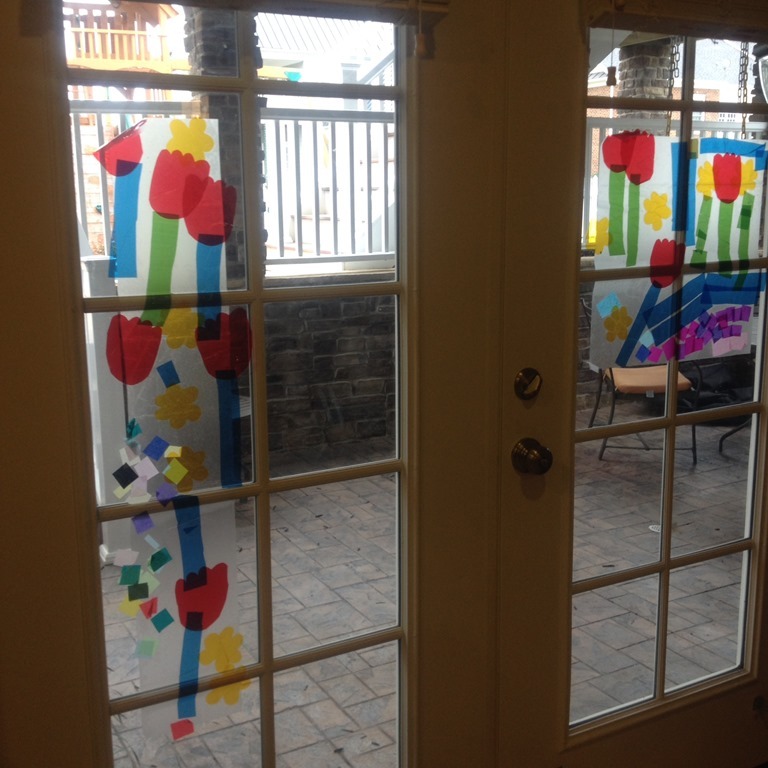 I gave them long piece of contact paper, tissue paper, and a cellophane paper cut into flower shapes and stems. 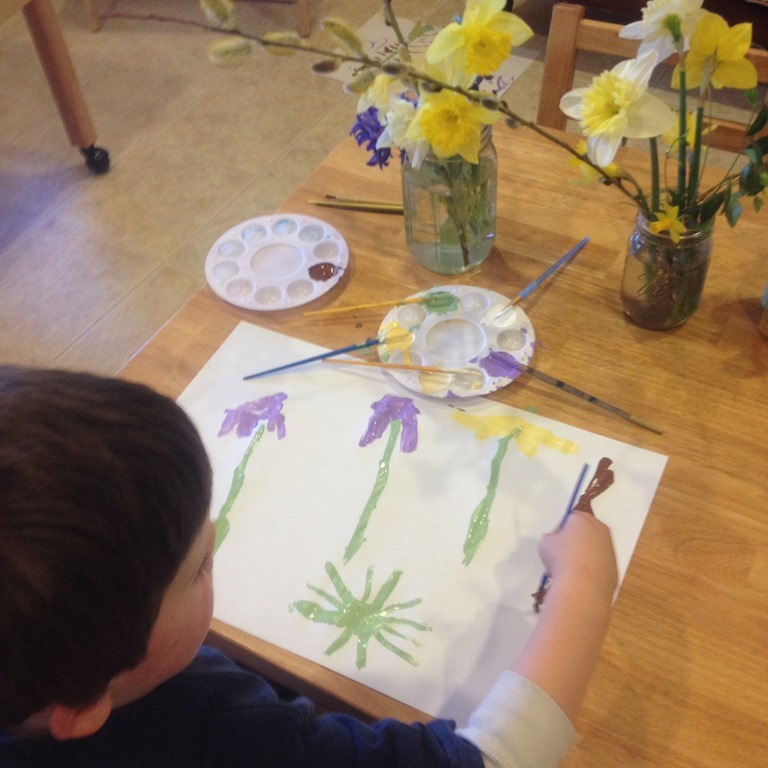 It was fun to see them get right to work creating spring pictures with the contact paper. We got a brand new art material and I was so excited to try it out this week! 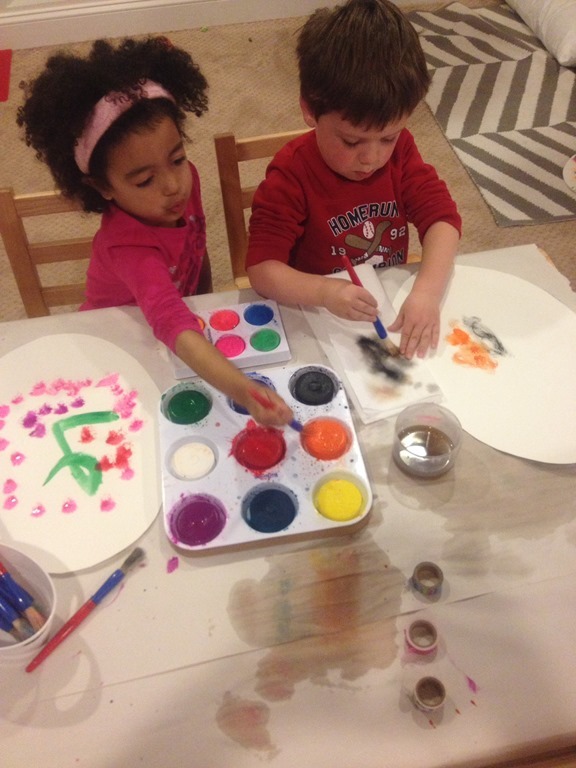 The picture shows L and L using our new tempera paint cakes! 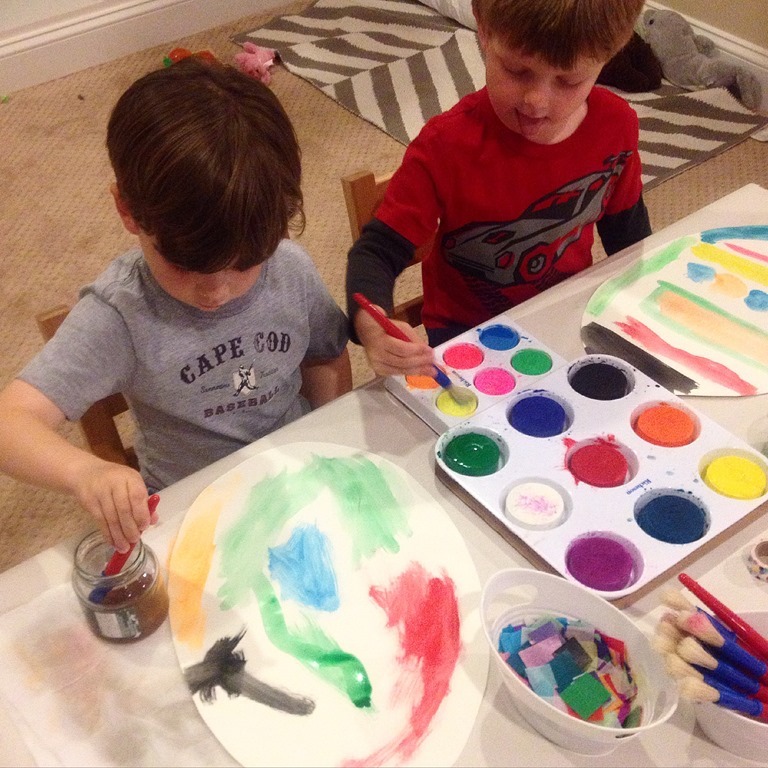 To use the paint cakes they dipped the paint brushes in water and then swirl them on the color of choice. 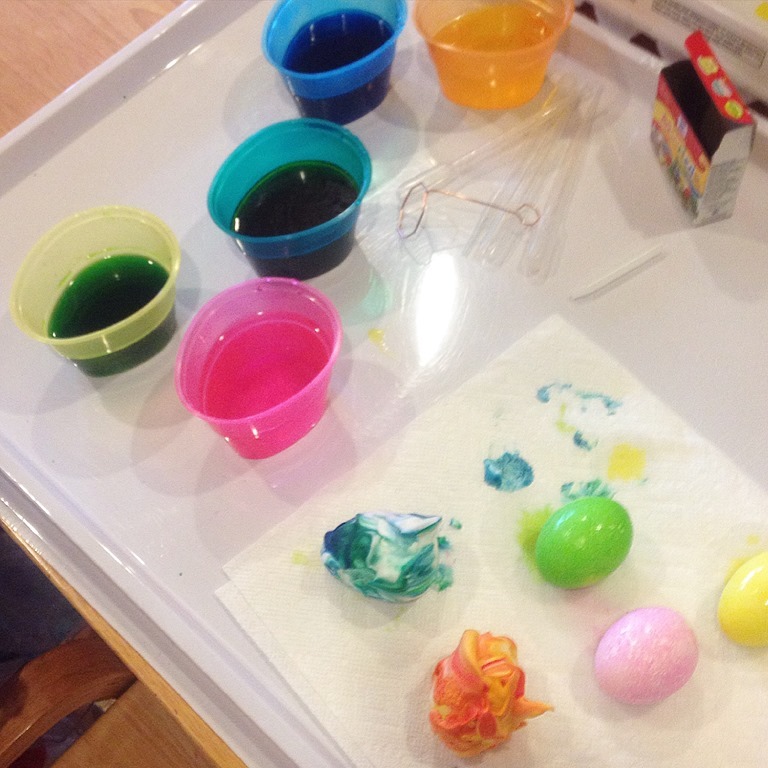 The result is a much more vibrant paint than watercolor, and they made the most beautiful eggs! Of course we added washi tape to the top of our eggs! We received the most stunning floral arrangements from one of our students this past week as well! 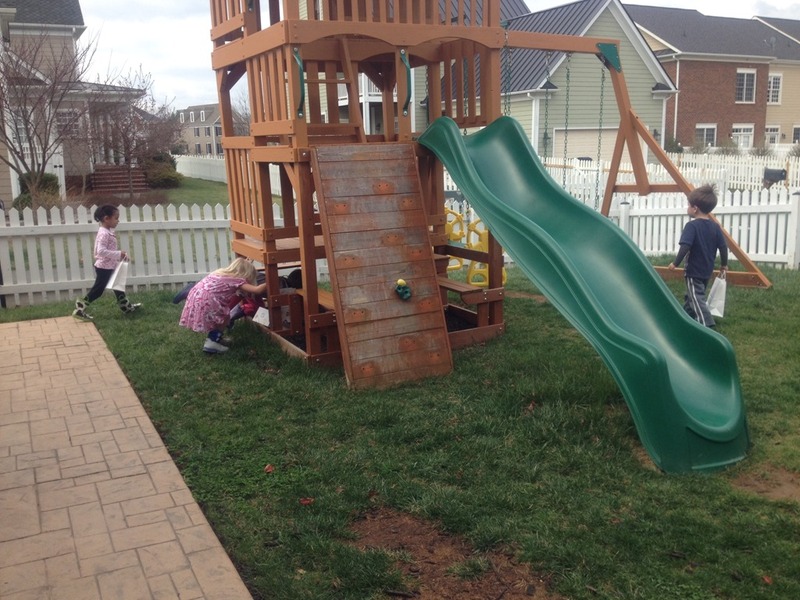 I put out paints in all of the beautiful spring colors and the children got right to work. 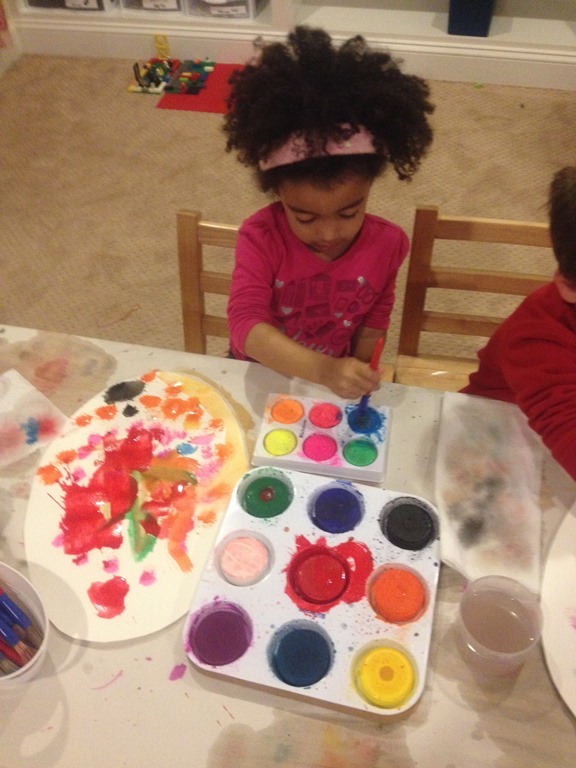 Their paintings are really evolving as they grow and learn! I am blown away by their growth and development as we approach the end of this school year! Happy Spring and Easter to my wonderful students! I can’t wait to see them again in a few days! Categories: holidays, play based learning | Tags: easter, easter crafts, easter egg hunt, process art | Permalink.